If you thought knitting was for the old women, think again. 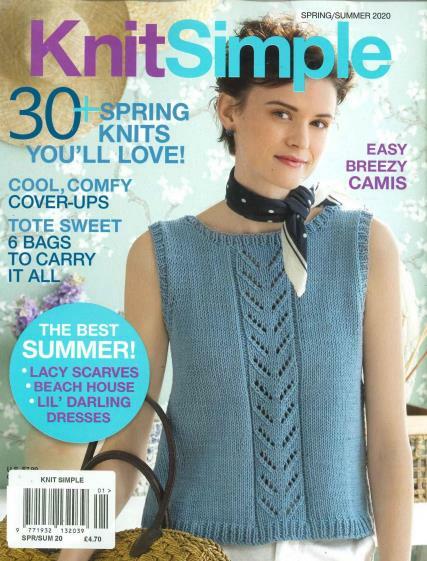 Buy a single copy or subscription to Knit Simple magazine. Knitting is an art that requires creativity and nimble fingers to bring out wonderful patterns. Knitting is not just about having balls of wool and knitting needles alone, it is about blending the different colours with the creativity and skills. This magazine is designed for all those readers for whom knitting is more than just a hobby to pass their time. It is one magazine which churns out beautiful patterns and designs, edition after edition. There is an edition which is published once every 4 months and hence one can order for an annual subscription. Unleash that creativity and keep your hobby going strong.